St. Joseph’s main attractions aren’t just museums (though we have 13 really awesome ones)…but it was genuinely hard for us to narrow down all the options. So we asked our locals and visiting friends to help us by voting for their top entertainment and nightlife venues. There are too many to choose from so we picked the top 5. Simply put, this opulent theater is unlike anything you’ve ever seen before. The building is a renovated 1927 movie palace which today serves as Cultural Center for the arts in St. Joseph. The theater, seating 1200, is decorated in a pre-Persian motif and is a true architectural gem. So, what can you see here? The question is, what “can’t” you see. 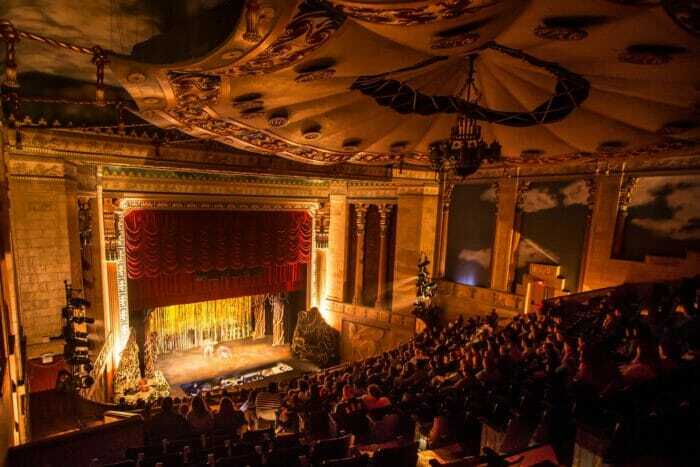 Every year the Missouri Theater is booked solid with Broadway-caliber plays, nationally traveling musicals, world-renowned symphony performances, and unique variety shows. This year’s shows include concerts by The Beach Boys and Dwight Yoakam, the musicals Annie and Legally Blonde, and tributes to The Temptations and Frank Sinatra (and much more). Different local arts organizations host a variety of shows year-round, and each has their own diverse schedule. Check them out below. 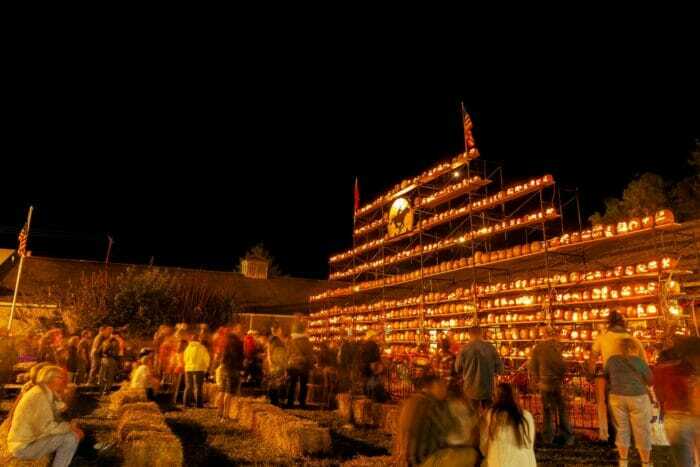 Once the temperature starts climbing back up, our 14 annual festivals encourage people to spend more time outside. From music to food, each weekend-long event has a unique theme and celebrates our uncommon character.  Beginning in May, the Apple Blossom Festival (St. Joseph’s oldest running festival) has always been St. Joseph’s official rite of spring. Summer music festivals bring diverse rhythmic performances, and fall festivals honor the charming, autumn spirit of northwest Missouri. Rounding out the year, find yourself immersed in the holiday spirit at one of our winter celebrations. Full list of festivals here. 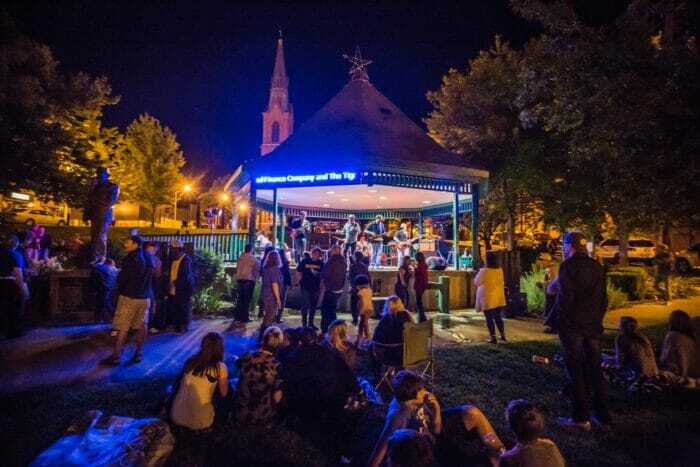 An unassuming neighborhood park in the middle of historic downtown has become one of the premier entertainment venues in St. Joseph, hosting musical concerts and special events almost every weekend during the summer and fall. Bring your lawn chair or blanket and snuggle up with your family or hang out with friends, all while listening to some of the best local and regional bands the area has to offer. From Sounds of Summer (a very popular Friday night concert series in June and July) to art and music festivals located in this bustling entertainment district, you’re only a short walk away from unique shopping, original dining and a some of the most incredible architecture in St. Joseph. Downtown has recently seen a resurgence of activity, energy, and spirit over the past few years…so if it’s been a while since you’ve experienced the heart of St. Joseph, now is definitely the time. Oh, how St. Joseph loves their Mustangs. And what’s not to love? 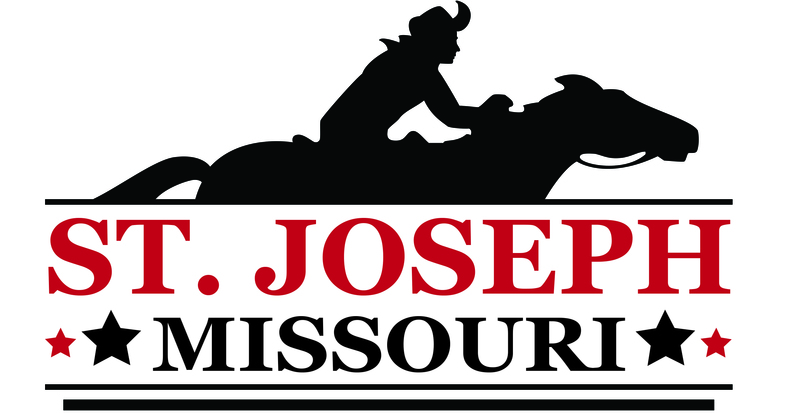 St. Joseph has continued to support the Mustangs in their effort to be one of the best collegiate summer league baseball teams in the country. Success continued in 2017, year nine for the Mustangs, as the team added its fifth league championship, giving them five titles in the past seven seasons. They broke an Opening Day attendance record on May 31, 2017, with a crowd of 4,889. And, the stadium they play within is just as impressive. 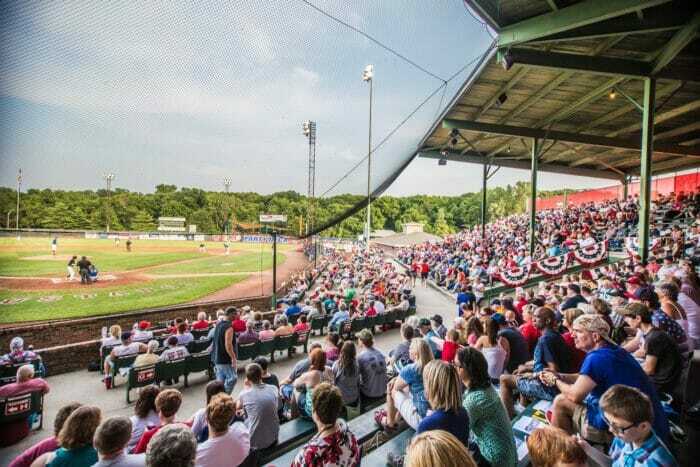 Baseball in St. Joseph has seen many famous Hall of Fame players such as Dizzy Dean, Satchel Paige, Yogi Berra, Stan Musial, Mickey Mantle, and Earl Weaver, and the current fans are able to reminisce about the impressive history in the 77-year-old city stadium. It’s definitely home-town baseball at it’s very best. 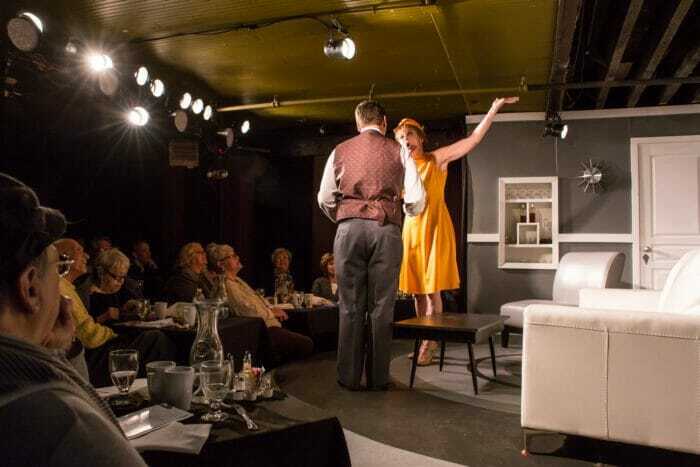 In July of 2007, the Robidoux Resident Theatre opened their new venue, Robidoux Landing Playhouse and Dinner Theater, to sold-out performances all season. In addition to their regular Tabletop performance season, which this year includes The Savannah Sipping Society, One Flew Over The Cuckoos Nest, and Kitchen Witches, the Robidoux Landing Playhouse is also home to a stand-up comedy club, a jazz club, numerous dinner shows and even a children’s theater summer camp. The small, but quaint venue is equally impressive, allowing for intimate performances between actors and guests, and is located inside one of St. Joseph’s historic downtown warehouse buildings close to the Missouri River. We know, we know…we said we’d limit the list to 5, but we’d be remiss not to mention the incredible variety of local music venues in St. Jo. Live music has always been a part of the heart and soul of our community, having given birth to Coleman Hawkins, the founder of the tenor sax, rock legend Steve Walsh, and the international punk rock band, Radkey…to name a few. But in the last 10 years, the variety and accessibility of live music has, quite literally, exploded. You can’t spend a single night in St. Joseph without finding at least one location showcasing a unique musical experience.